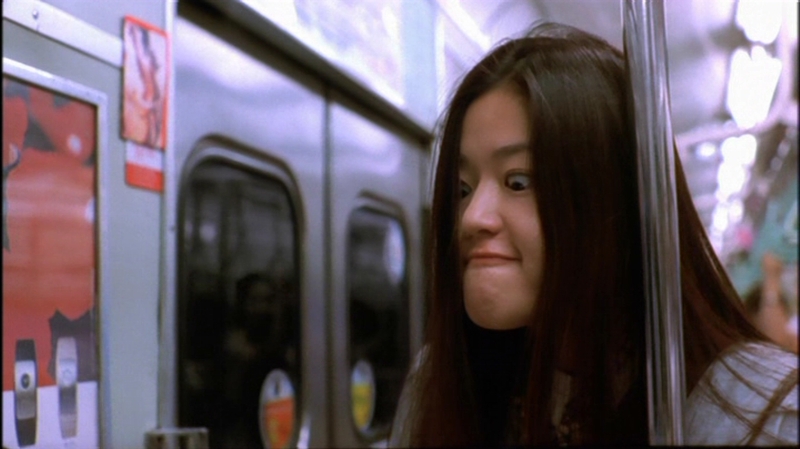 I have no idea why it took me so many years to finally see the 2001 smash-hit movie My Sassy Girl. Ever since I started watching different forms of Asian entertainment, My Sassy Girl was always at the top of any MUST WATCH list. I knew it was great, I knew everyone loved it, and I even knew I would love it, but I just never quite got around to watching it. Enter 2014, 13 years since the movie’s debut. Jun Ji Hyun is once again the center of conversation, this time for her current role in the SBS drama Man from the Stars. As many of you know, I am absolutely in love with this show! While I wait for the new episodes I can’t help but experience withdrawal. To help myself cope, I find myself combing the internet for all that I can find about the show and the two stunning leads Jun Ji Hyun and Kim So Hyun. 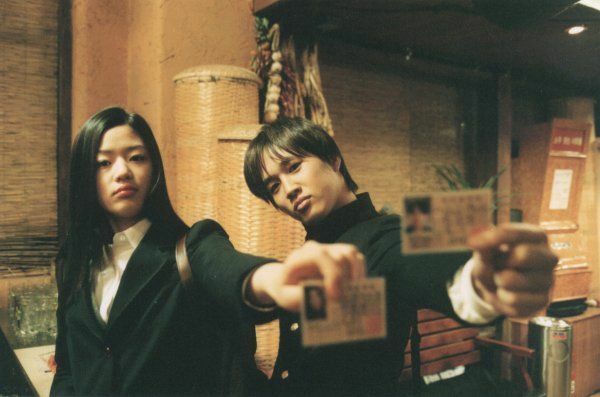 If you haven’t yet seen My Sassy Girl, be sure to do so ASAP! I don’t know how you could be disappointed. And for the majority of you who have already seen this classic film, why not watch it again? We can never have enough Jun Ji Hyun or Cha Tae Hyun in our lives! First of all, Jun Ji Hyun’s spark and acting prowess really shine through. She’s fierce and assertive and while not particularly likable, I can’t help but love her brazen character. I just wish she was quite so violent to poor Gyeon Woo. Cha Tae Hyun makes this movie very easy to love. 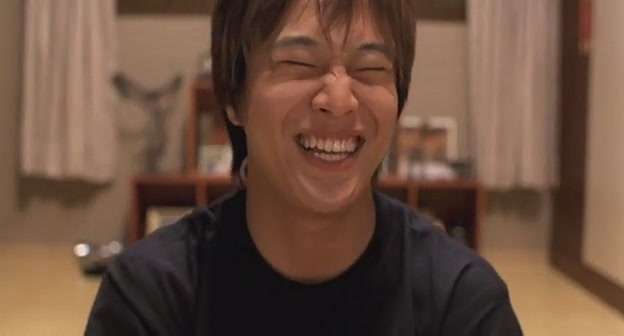 His character Gyeon Woo is just a normal college kid who gets swept up in all the craziness that surrounds “The Girl”. He can’t help but hate and like Jun Ji Hyun’s character at the same time, and his feelings remain questionable during most of the film. It’s hilarious to see him react and try to juggle “The Girl”‘s free spirt and hidden vulnerabilities. These two combined together make a wonderful pairing. They are so different, but these differences work to create an alluring chemistry. It’s a slow burn romance, one which our characters don’t awaken to until their time together is almost finished. “Romantic-comedy” is the perfect way to describe this film. Romance is far from lacking due to the creation of a quirky, yet believable relationship. Hilarious moments also occur throughout, many of which will keep you laughing long after the movie ends. For me, I think my favorite scene remains the first time Gyeon Woo takes Jun Ji Hyun’s drunken mess to the motel. Getting wrongly arrested for kidnapping while completely naked is certainly a memorable moment! The ending is perfect. Very rarely do I feel satisfied at the end of movies, especially when watching Korean films. I was worried My Sassy Girl would lead me down the familiar path of despair and heartbreaking agony, but I was very, very pleased with the ending. I guess I’ve been let down one too many times by Korean cinema. 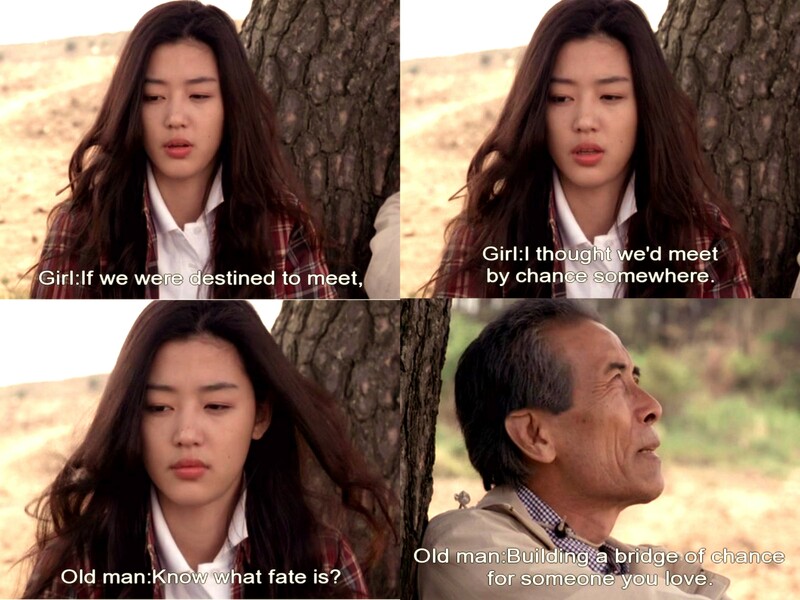 Those other films really need to take notes from My Sassy Girl! I also love the use of fate throughout the film. Maybe it’s because I’m also watching Man from the Stars now, but I’m such a sucker for story lines with chance meetings and destined love. Be sure to run, not walk, to watch this movie! There is just so much goodness to love. Even just thinking about this movie makes me feel all warm and fuzzy inside! What are your thoughts on My Sassy Girl? Can you name your favorite part?